E3 is right around the corner. Soon enough the industry will be in steel birds descending on the City of Angels to see what the next six to eighteen months has in store for us. But until then, May is full of games! We’re starting off May with a hot shot of two Nintendo games: On May 2nd, Kirby: Triple Deluxe and Mario Golf: World Tour are coming to the 3DS. Kirby is a series I will almost always be in for (give me a Dream Course or Pinball sequel! ), and this one is no different. Mario Golf for the Nintendo 64 was a great game, but the true hit of the series was the Game Boy Color version which was a semi-RPG. Unfortunately, World Tour doesn’t have any of the RPG elements, but it still looks like a game worth playing. May 6th we are finally getting a current generation baseball game when MLB The Show 2014 hits the PlayStation 4. The PS3 version was well received as usual, and so far I haven’t heard anything negative about the PS4 version. As a huge baseball fan, I will probably be picking this game up, even though I don’t really like the exacting realism of The Show. I don’t have many options. Tesla Effect: A Tex Murphy Adventure. May 7th. That is all. On May 13th we are getting a pair of re-releases on the Vita. The major one being Borderlands 2. A lot of people like that game, I’m sure this will be a pretty good handheld version of that game. The second is Soul Sacrifice Delta. It isn’t as sequel-y as the developers would like you to think it is. It is an enhanced version of last year’s title with more content added. I enjoyed what I played of Soul Sacrifice, and I think this might be worth picking up if you never played the original. May 20th is a day for games, y’all. Transistor, Wolfenstein: The New Order, and Japanese gaming corespondent Cory Rolon tells me Drakengard 3 is coming. 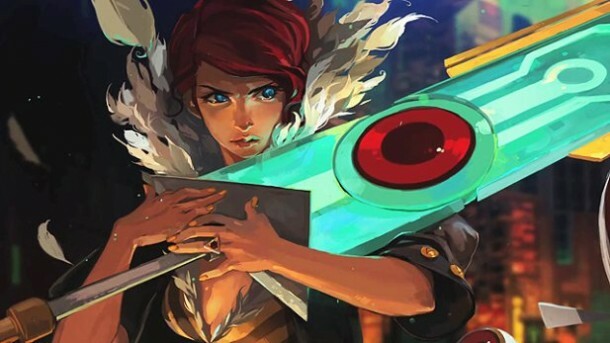 I have been excited for Transistor since I saw it at PAX East 2013, and as the followup game to Bastion from developer Supergiant Games, everything is coming up Milhouse. Day one purchase for me. As for Wolfenstein, I was skeptical at first, but the more I see of that game, the more excited I am. As for Drakengard? I dunno. The following Tuesday, May 27th, we are getting Watch Dogs. Before it was pushed back, this was the number one reason I was getting a PS4. Now that it was pushed back, I don’t know what to think about it. I am still heavily anticipating this game, and since it is the last game I will probably be playing before E3, it is the one that has to leave me feeling good for the industry’s biggest event. Closing out the month, we have Mario Kart 8 coming on May 30th. If I had a Wii U, I would get this game right away. But since I don’t, and most funds are going towards trip plans, I am going to have to pick this up in the middle of June. So far, this game looks like an amazing game in the amazing series. I don’t know what (if anything) will be unique about this game as opposed to earlier versions, but even if it is a straight up Mario Kart 64 style Mario Kart game, it looks like fun. Don’t forget to check out this month’s games on PlayStation Plus and Games with Gold. On PS+ Stick it to the Man will be on PS4, Puppeteer, Pro Evo Soccer 2014, and Skullgirls Encore will be up for PS3, and the Vita is getting Surge Deluxe, and Limbo. Games with Gold offers up Saints Row: The Third, and Dust: An Elysian Tail. Hopefully we will be getting some GwG games on Xbox One pretty soon. I don’t know if I would be buying a lot of these at launch if I wasn’t a crazy person, as the coming months are going to be lean (it always is), and game prices are bound to drop. I will see you all again next month. Games are coming, yo.